SIOUX CENTER – Courtney Groen always had an interest in caring for others, but it was during her time working at a nursing home during high school in her hometown of Renville, MN, that she felt God calling her into nursing. That call is now being fulfilled as she has assumed the position of clinic nurse at Promise Community Health Center in Sioux Center. health center during nursing training at Dordt College. Courtney grew up in Renville, MN, and graduated from Central Minnesota Christian School in Prinsburg, MN, in 2014. 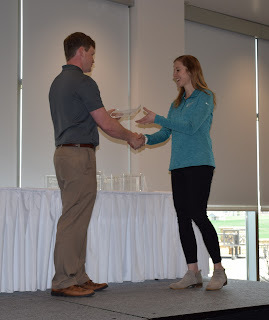 She earned her associate of science in nursing degree from St. Luke’s College in Sioux City in 2017 and graduated from Dordt College in Sioux Center in May with her bachelor of science in nursing degree. By the time she graduated, she already was familiar with Promise because she had completed both clinical hours and her preceptorship at the health center during her final semester. So she was excited to begin serving the community as a clinic nurse at Promise. Courtney Groen will get married to Carter Brock in June. He graduated from Dordt College in May 2017 and is working at Interstates in Sioux Center. In her spare time, Courtney enjoys going on bicycle rides, watching baseball games with her fiancé, baking with her fiancé and mentoring young nursing students. 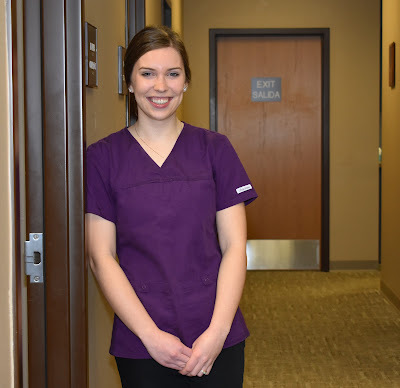 SIOUX CENTER – Jess Koedam appreciates all of the different ways that she has been able to help people as a registered nurse in her career. She now is continuing that service as a new clinic nurse at Promise Community Health Center in Sioux Center. “I was interested in Promise because I see it as a great opportunity to serve my community and continue helping people achieve better health,” Jess said. Jess grew up near Hospers and graduated from Unity Christian High School in 2007. She earned her associate of science in nursing degree from St. Luke’s College in Sioux City in 2011. After graduating from college, Jess served as a staff nurse at Village Northwest Unlimited in Sheldon, 2011-16, and then made home visits throughout the region as an integrated health home nurse care coordinator at Seasons Center for Behavioral Health, 2016-18. Her interest in going into the nursing field grew out of working as a certified nursing assistant during high school. “I really enjoyed getting to know each person and helping them better improve their health,” Jess said. Jess Koedam and her husband, Josh, live in Sioux Center and have two daughters, Rosie, 4, and Emily, 18 months. In her spare time, she enjoys reading, cooking, and camping and fishing during the summer. SIOUX CENTER – Patients to Promise Community Health Center of Sioux Center might be able to avoid costly emergency room visits, thanks to a grant from the Sioux County Community Foundation to purchase a new electrocardiogram (EKG). 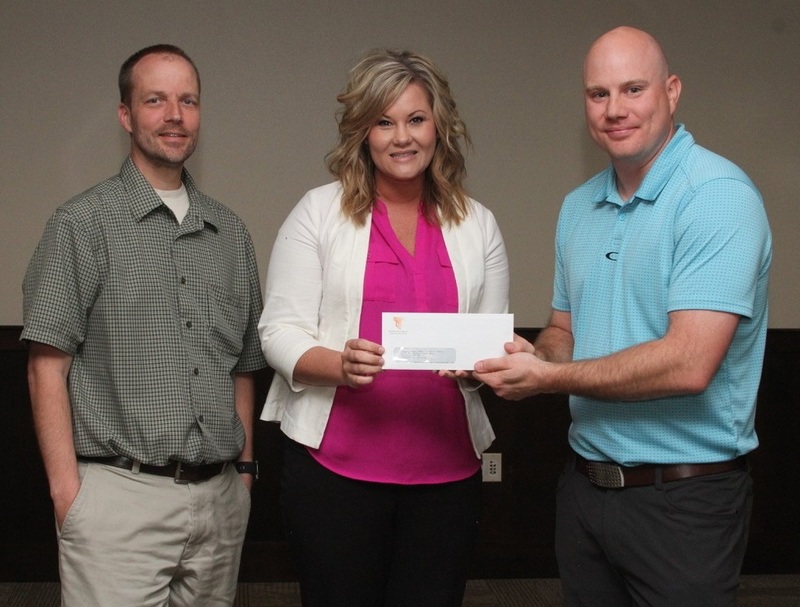 The grant was presented to Promise during an awards reception ceremony today (Tuesday, May 14) at Prairie Winds Event Center in Orange City. check for $4,080 to purchase a new EKG machine. The grant for $4,080 will allow Promise to replace an EKG machine that no longer is in good condition with a more updated model. An EKG records electrical activity of a patient’s heart at rest – showing heart rate and rhythm and if there is heart enlargement due to high blood pressure or evidence of a previous heart attack. Accurate results can be obtained quickly with a reliable machine. The EKG will be used for patients of all ages, from children to older adults. Promise fills a crucial need in Sioux County by reducing barriers to care for low-income families, particularly those without insurance or covered by Medicaid. Promise can provide an accessible, affordable procedure for Promise’s patient population by using the EKG machine – potentially saving them hundreds of dollars. Promise was among 12 nonprofit organizations or cities awarded a total of $98,250 during the 2018 grant round for various projects and programs in Sioux County. More than $1.12 million in grants have been awarded by the Sioux County Community Foundation since 2006. Funding for the grant program is a result of Community Endowment Fund legislation in 2005. SCCF was formed that year through affiliation with the Siouxland Community Foundation. SCCF is governed by a 12-member advisory board comprised of representatives from each of the communities in Sioux County. The mission of SCCF is to encourage and provide opportunities for charitable giving, to manage and distribute funds in a responsible manner, and to enhance the quality of life for the people of Sioux County. Promise Community Health Center received a Sioux County Community Foundation grant of $10,000 in 2016 to fund a portion of the cost of replacing one of one of its dental chairs. 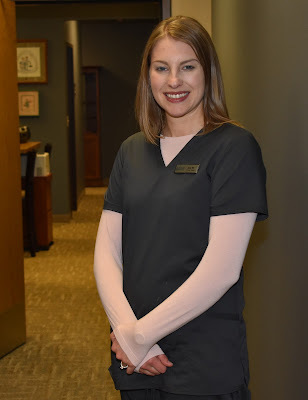 SIOUX CENTER – Amy McAlpine grew up much of her life in Sioux Center, but she feels more knowledgeable, better equipped and more connected than ever before in her hometown. 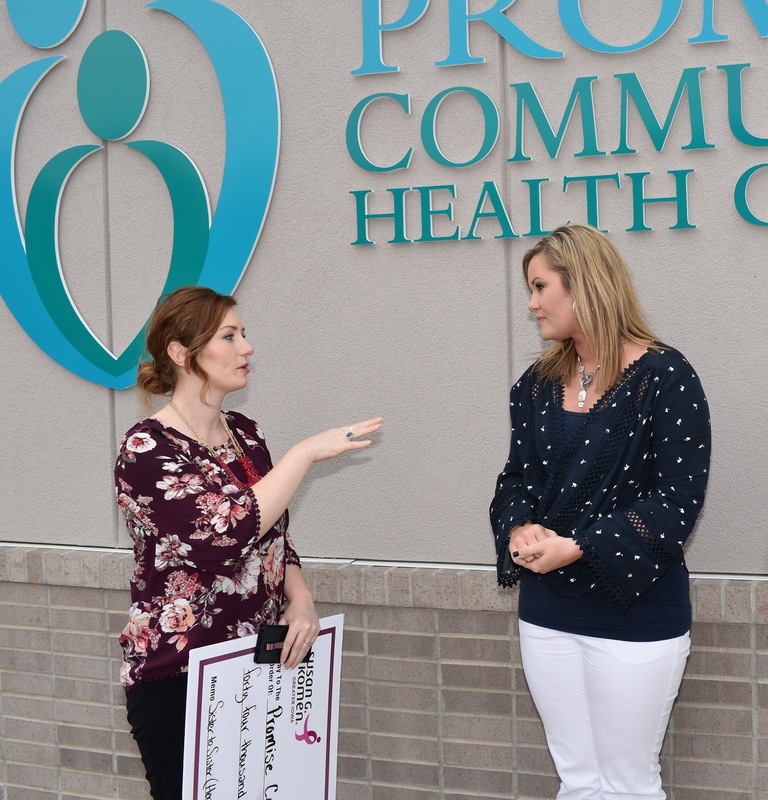 The data and compliance specialist for Promise Community Health Center was among 20 professionals to graduate Wednesday from the Leadership Sioux Center program as part of its fourth class. 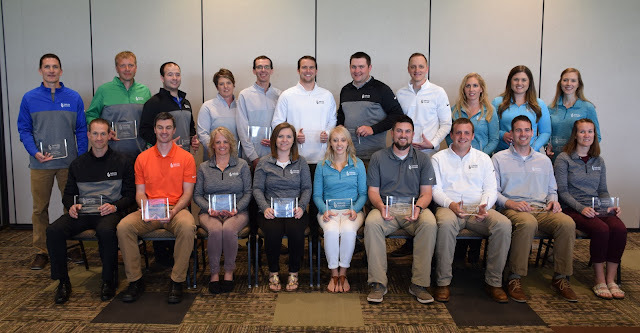 Leadership Sioux Center graduation on Wednesday. The intensive, eight-month program involved monthly, full-day sessions that explored various aspects of Sioux Center’s visionary past and its collaborative and progressive mindset. That education was mixed in with leadership training. In the process, the program’s goal is to sustain and build upon an environment of success as the community transitions to new leadership in the future. 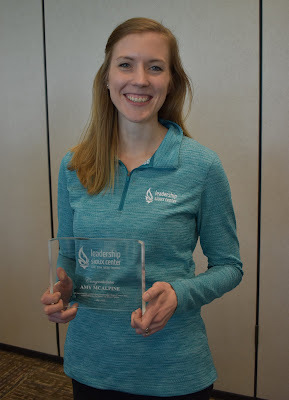 “There are a few qualities that stand out as essential to past success of Sioux Center and as a challenge to our group to continue on: collaborating with others groups and organizations, proactively and generously investing in the community, and striving for the perfect mix of humility and passion,” McAlpine said. May – DISC Personality Assessment and “Now What?” discussion. Q. Why were you interested in participating in Leadership Sioux Center? A. I honestly love to learn and loved the idea of being in that role of a student each month, learning about my hometown and leadership topics. Q. What were the most interesting topics and/or places that you visited? A. The tours were incredibly interesting – we visited places like Casey’s Bakery, Smithfield, Sioux Center Health, Family Crisis Center, Promise, Dykstra Dairy, the county courthouse, jail and the State Capitol. I was also able to do a full tour of Premier Communications and present a Business Case Study with a group. The tour and project gave me a lot of insight into their history, services and impact on the community. Q. How will this program benefit you in the future? A. I feel much more invested in the growth and future of Sioux Center. It takes a lot of people to help shape a healthy, positive community. With the help of the program, I’m starting to see what my role – and also Promise’s role – in that growth could look like. Q. What stood out to you the most from what you learned? A. Talking about topics like the growth of Sioux Center and its strengths and challenges was really eye-opening. I haven’t always had a clear picture of the history of Sioux Center or the proactive planning and collaboration that has taken place. We talked a lot about issues around employment, housing, economic development and city planning in general. I feel like I didn’t have a lot of insight into those areas, so the sessions really helped broaden my view. Q. What was it like for you to be part of this group of participants? at Terrace View Event Center. Amy McAlpine is the third person to represent Promise Community Health Center in the Leadership Sioux Center program. Jessica Mora, office manager and outreach coordinator, graduated from the program with the inaugural class in 2015, and Derrick Vander Waal, public relations officer, graduated in 2016. Amy McAlpine was born and raised in Sioux Center, but her family also lived in Costa Rica, Mexico and Bolivia for mission work. After graduating from Sioux Center High School in 2006, she earned a bachelor’s degree in linguistics and international studies in 2009 from Central College in Pella. She worked as a quality assurance manager at Community Support Advocates in Des Moines for five years before moving back to Sioux Center and starting as the executive assistant at Promise Community Health Center in January 2015. She assumed her current role as data and compliance specialist in July 2016. Amy and her husband, David – who works at Peoples Bank Wealth Management in Sioux Center and was a 2017 Leadership Sioux Center graduate – have two boys, Sam, 3, and Paul, 1. In her spare time, she enjoys reading, especially nonfiction; listening to podcasts; cooking and baking new recipes; playing with her boys; and traveling. The Leadership Sioux Center graduates were (front, from left) Kris Hulstein, Interstates; Jackson Schuiteman, Sioux Center Health; Stephanie Regnerus, Link Manufacturing; Jennifer Waddle, Kinsey Elementary School; Kelly Goslinga, Clabaugh & Goslinga P.L.C. ; Joshua Christians, ServiceMaster; Andrew De Vries, Boehringer Ingelheim; Matthew Kelderman, Kroese & Kroese P.C. ; Lindsay Mulder, Sioux Center Public Library; (back) Mark Hulshof, Sioux Center High School; Tim Foreman, Ground Effects; Kevin Christian, Peoples Bank; Christy Hulstein, Stepping Stones Preschool; Greg Pennings, Pella Corp.; Darren Raih, American Investment and Trust; Colton Waring, city of Sioux Center; Wade Kroeze, Perspective Insurance; Kristy Huss, Travel Savvi; Jessica Rohrs, Family Crisis Centers; and Amy McAlpine, Promise Community Health Center. 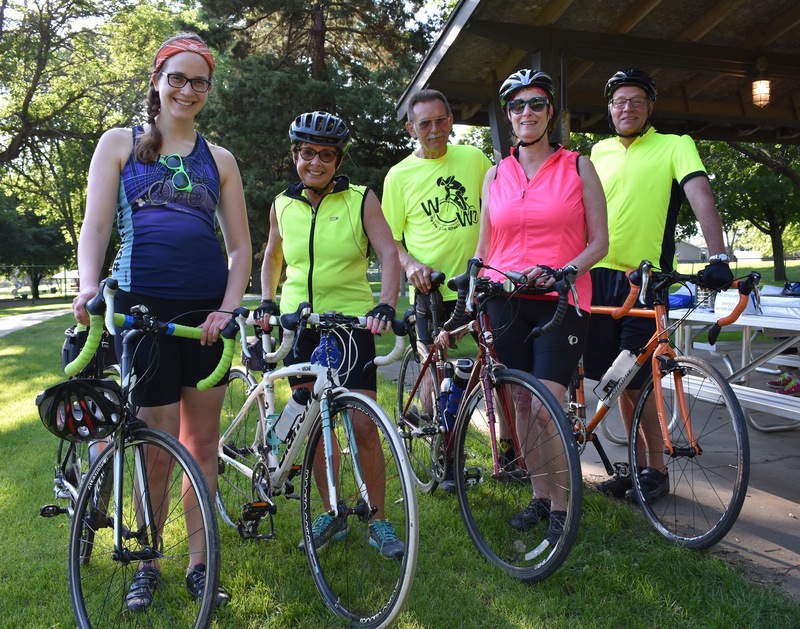 SIOUX CENTER, IOWA – Whether you’re an avid cyclist or enjoy taking a leisurely ride with your children, you’ll enjoy the eighth annual Wellness on Wheels Bicycle Ride. miles will be offered for WOW8. WOW8 is slated for Saturday, June 2, as an official event of Sioux Center Summer Celebration. 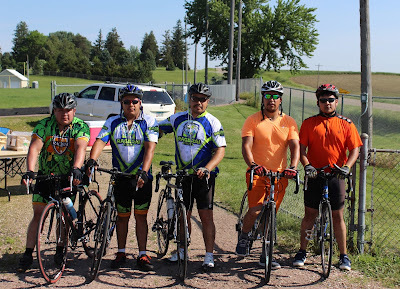 The event – which is put on by Promise Community Health Center of Sioux Center with the help of many great business sponsors – will offer four routes for all bicycling abilities ranging from a revamped family route to a 60-mile ride. WOW8 also will feature a brunch with breakfast pizza from Pizza Ranch, prize drawings for two youth bicycles donated by Brothers Bicycle Shop of Sioux Center and a complimentary event T-shirt. on the Sioux Center Recreational Trail. 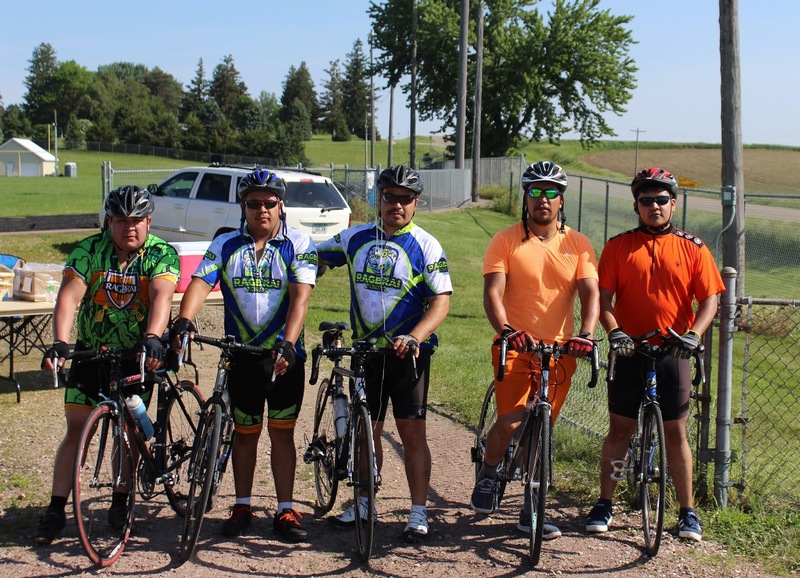 A 60-mile paved route will travel through scenic southwestern Sioux County through the communities of Hawarden and Ireton. Aid stations will be located in those towns to welcome riders and rejuvenate them with Gatorade, water and snacks before heading back out on the road. 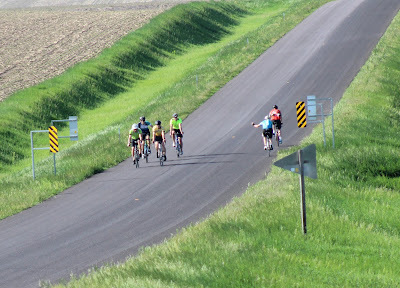 The ride will depart at 6:30 a.m.
A 30-mile gravel route will take riders on a large loop through rural Sioux County past some interesting features and will intersect with the Ireton welcome station before returning to Sioux Center. 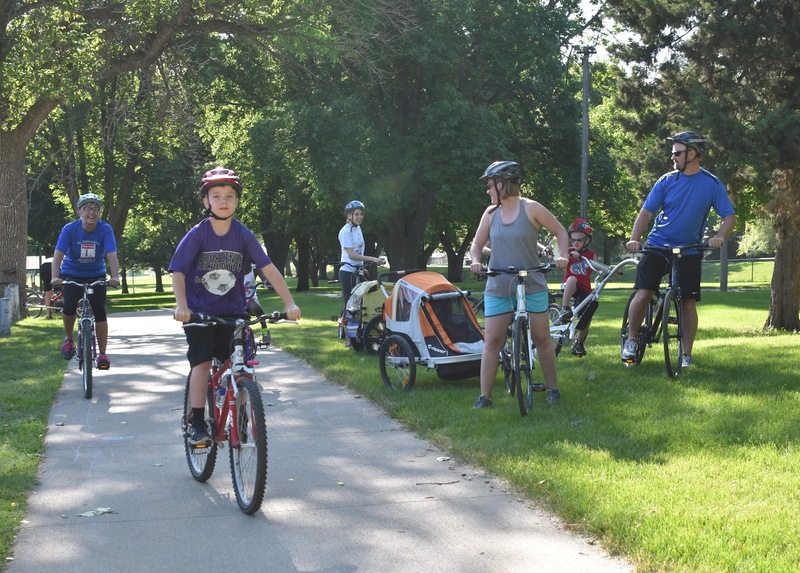 The ride will depart at 8 a.m.
A Family Fun Ride will take a short, leisurely ride on the Sioux Center Recreational Trail to the prairie on Dordt College’s campus – a revamped route this year. Dordt staff will offer prairie-related activities for children, and a refreshment station with beverages and snacks will be provided. The ride will depart at 9 a.m.
will be offered. The ride will be free to participants. Participants who register by the early-bird deadline of Thursday, May 24, will receive a discount. The cost is $25 for the 30- and 60-mile routes through that date. Prices will increase by $10 to $35 thereafter until the day of the event. A complimentary moisture-wicking T-shirt will be given to riders participating in the 30- and 60-mile rides. Participants who register by the early-bird deadline of May 24 will be guaranteed a T-shirt in their size. The Family Fun Ride is free to participants. A meal featuring Pizza Ranch breakfast pizza will be served to all the riders when they return to Children's Park from their morning treks. WOW8 not only will be a fun, relaxing, outdoor activity that promotes wellness, but it also will serves as a fundraiser for Promise. 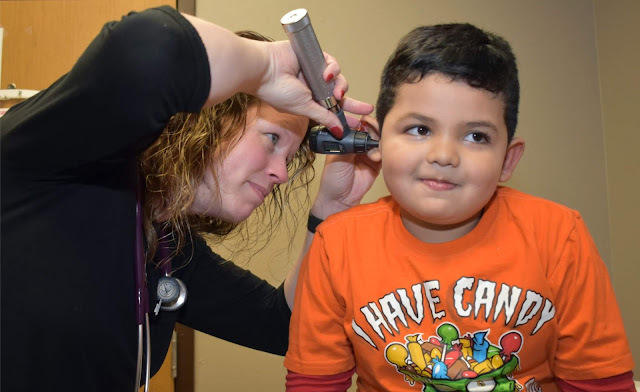 The health center provides a comprehensive range of health-care services to patients – with a particular focus on reaching out to underserved people and helping them overcome barriers that they face to health care. June 2, during Sioux Center Summer Celebration. Bicyclists can register online for the Wellness on Wheels Bicycle Ride (WOW8) at wow8.eventbrite.com. Or, they can fill out and return a paper registration form. A form can be accessed online on Promise's webpage at www.promisechc.org, by clicking this link or by visiting Promise Community Health Center at 338 First Ave. NW, Sioux Center, IA. For more information, call Promise at 712-722-1700 or email derrick@promisechc.org. Promise Community Health Center is bringing you WOW8 with the help of these generous sponsors: American State Bank, Peoples Bank, Northwest Bank, Primebank, Proactive Physical Therapy & Sports Rehab, Brothers Bicycle Shop, Dordt College, Iowa State Bank – Ireton Branch, Isakson Chiropractic Health, Lewis Family Drug, Mane Attraction and Sioux Center Chiropractic Wellness Clinic. The following businesses are donating materials or services to the event: Pizza Ranch, Fareway, Hy-Vee and McDonald’s. SIOUX CENTER – Promise Community Health Center’s Sister to Sister/Hermana a Hermana project strives to remove barriers – whether financial, transportation, cultural or language – that women may face for receiving lifesaving breast cancer screenings and awareness. That effort has been made possible thanks to funding from Susan G. Komen for a Cure. Jessica Nelsen, mission director for the Susan G.
Representatives from the Greater Iowa affiliate visited Promise today (Tuesday, May 1) to award the health center a $44,251 grant for its 2018-19 project. This is the seventh straight year that the Komen organization – which combats breast cancer through research, community education, and preventative care and treatment – has supported Promise’s Sister to Sister/Hermana a Hermana project. The new grant year began April 1. The project’s goals are to increase breast health awareness and education and reduce the incidence of breast cancer in the region. Community outreach events will be offered. Free mammograms and follow-up diagnostic procedures will be provided for women who qualify. Transportation barriers will be overcome. This year, the Sister to Sister/Hermana a Hermana project is expanding to include O’Brien County in addition to Sioux and Lyon counties. $6,471 of the funding will focus on community needs through multifaceted, bilingual education and awareness efforts. Promise providers will educate every woman between the ages of 40-65 during their well-woman visits about breast health, emphasize the importance of annual mammograms and provide clinical breast exams. Trained interpreters will be used to reach Spanish-speaking patients. Community outreach events will be organized with the assistance of partner organizations in Sioux, Lyon and O’Brien countries to encourage women to receive preventative care and to make them aware of the free mammograms and other services available. Promise also will reach out to large employers in each of those counties. $37,780 of the funding will be used to remove financial barriers that women face for receiving lifesaving breast cancer screenings. For women who do not have insurance coverage or are underinsured, Promise will be able to schedule up to 65 free annual mammograms and up to 19 free follow-up diagnostic services for those with abnormal screening results or breast cancer symptoms. Promise is partnering with Sioux Center Health and Hegg Memorial Health Center Avera of Rock Valley as the locations for those screenings. Promise also will address transportation barriers through arranging for rides for patients who need it or by offering gas gift cards. program. In the first six years, about 350 women have received free mammograms. If not for the grant, many of them likely would not have been served due to cost. 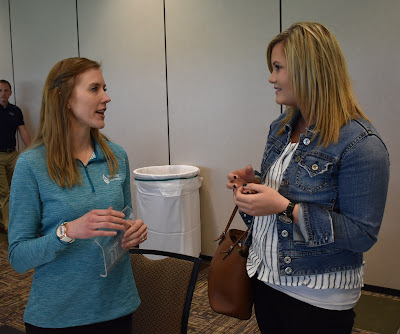 Jessica Nelsen, mission director for Komen Greater Iowa, said the organization was impressed by Promise’s track record with its Sister to Sister/Hermana a Hermana project and its plans for the coming year. Promise was among five organizations awarded nearly $330,000 in new community grants from Susan G. Komen Greater Iowa for 2018-19. 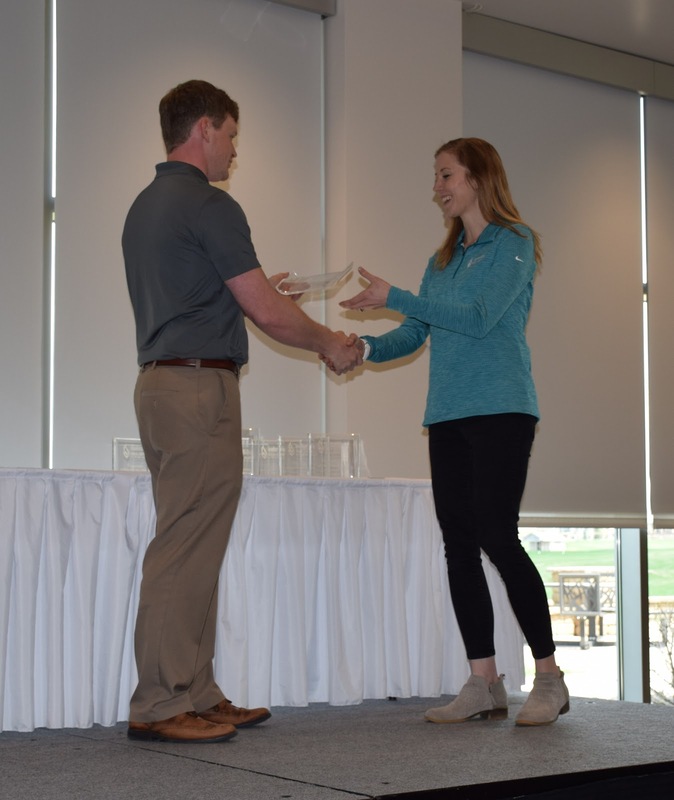 The other organizations awarded were Polk County Health Department in Des Moines, One Iowa in Des Moines, Jennie Edmundson Hospital of Council Bluffs and Genesis Health System of Davenport. Susan G. Komen is the world’s largest breast cancer organization, funding more breast cancer research than any other nonprofit while providing real-time help to those facing the disease. Komen has set a Bold Goal to reduce the current number of breast cancer deaths by 50 percent in the U.S. by 2026. Komen was founded in 1982 by Nancy G. Brinker, who promised her sister, Susan G. Komen, that she would end the disease that claimed Suzy’s life. Komen Greater Iowa is working to better the lives of those facing breast cancer in the local community. For more information, call 877-745-6636 or visit www.komengreateriowa.org. If you have any questions about Promise Community Health Center’s Sister to Sister/Hermana a Hermana project, contact Emily Tuschen at 712-722-1700 or etuschen@promisechc.org.